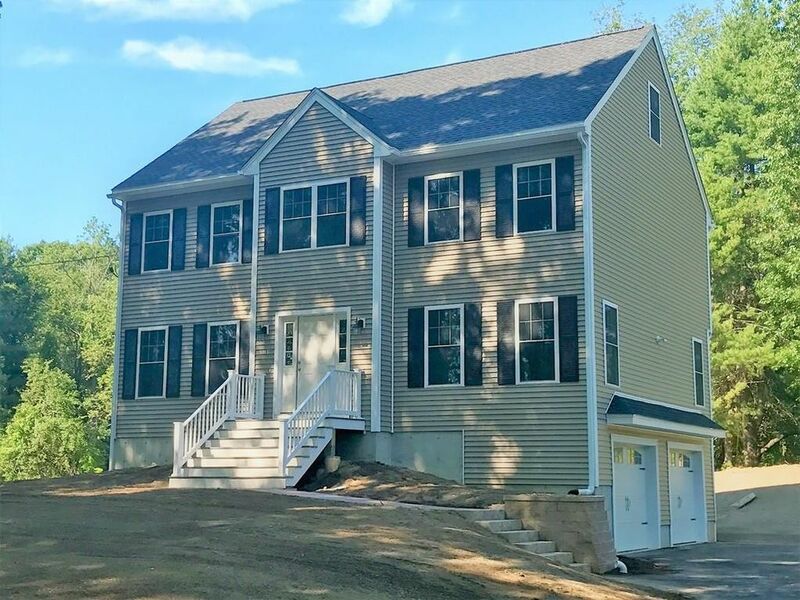 NEW CONSTRUCTION in the Rosemont section of Haverhill --- [2 of 2 NEW Homes] --- This NEW 3 Bedroom, 2.5 Bath Colonial offers 2,200 SqFt +/- of Living Space on a spacious 36,302 SqFt (0.83 acre) lot, and ready access to Interstate 495 and retail, restaurants & shopping along Main Street (Route 125) in Haverhill & Plaistow, NH. --- Amenities include: 2 Forced Hot Air by Natural Gas Heating Systems & 2 Central Cooling Units, Large Rear Deck, Hardwood Flooring throughout the 1st floor, Gas-Fireplaced Family Room, Center Island Granite Kitchen with GE Stainless Appliances, 2nd Floor Master Suite, and Walk-Up Attic for future expansion or storage space. --- Expected delivery end of June 2017. Interior & deck photos are of similar NEW home next door at 139 Merrill Ave. Directions: Main St to Merrill Ave. #131 is the BROWN house.